Marseille-focus next weekend begins on Friday night with a special edition of Thalassa on France 3. Called Marseille plus belle la mer, it’s the first in a series of programmes celebrating Thalassa’s 40 year run. 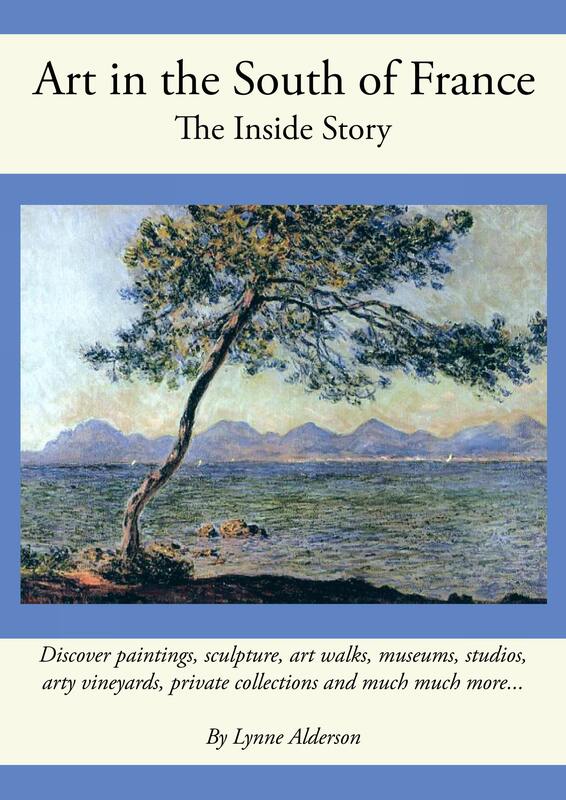 It is one of France’s oldest TV programmes. Starting at 20:50, they will be featuring an actress from ‘Plus Belle la Vie’, a town architect, deep-sea divers, and a person who teaches kayak to local kids from the cités. Which all chimes in nicely with the 17th ‘Septembre en Mer’ festival which begins this coming week. 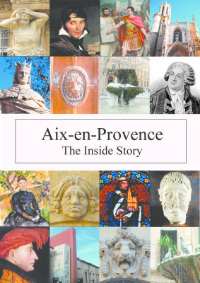 There’s activity all along the coast – loads of events from coastal walks, diving lessons, boat-trips, films, talks…have a look at the website http://www.septembreenmer.com/revue-de-presse-2015/ or much better, call into the Office du Tourisme in Aix and pick up the free 24 page La Provence supplement which has the poster illustration (left) on its front cover. There were heaps of them when I went in this week. 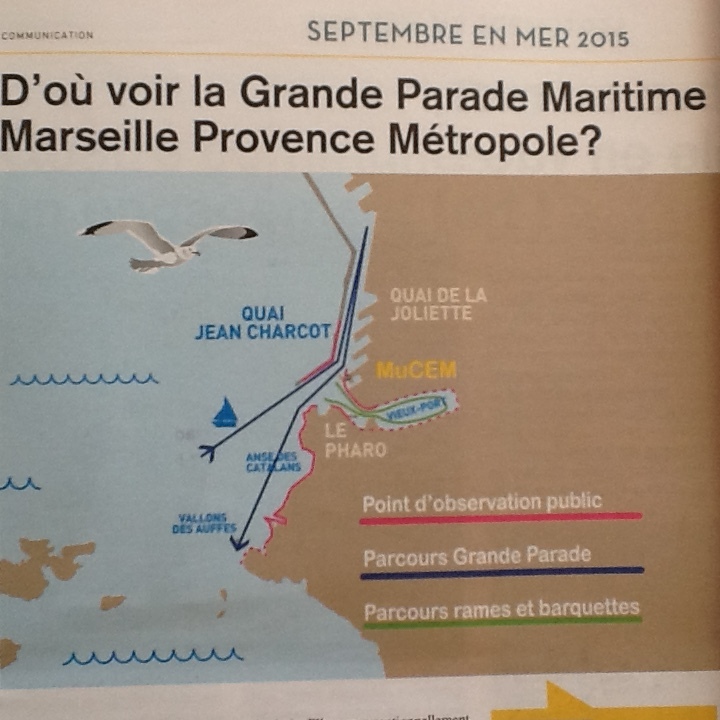 Saturday 5th September is going to be a big day in Marseille with the ‘Grande Parade Maritime Marseille Provence Metropole 2015’ perhaps similar to the boat rally back in 2013. 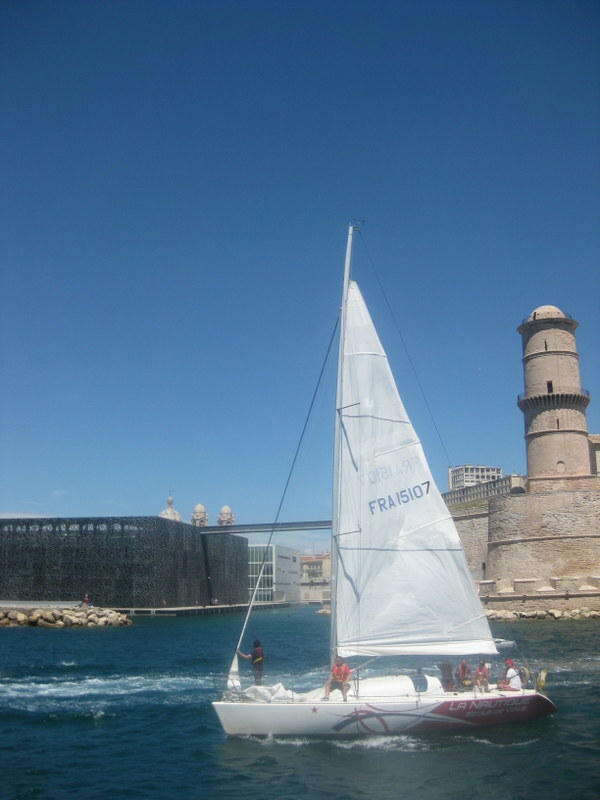 The morning sees rowing and yacht races in and around the Vieux Port while the ‘Grande Parade’ itself starts at 14:00. There will be 1500 boats sailing along to la Joliette and than back to the Vallons des Auffres. From 17:00 onwards, there will be ‘joutes et rames traditionelles’, ( a Provencal pastime which involves poking the opposition with poles until one lot falls in the sea). It’s the first time the clubs from L’Estaque, La Ciotat and Martigues have competed in the bay between Fort St Jean and MUCEM. I am also looking forward to seeing the floating pianists who will be making several appearances. 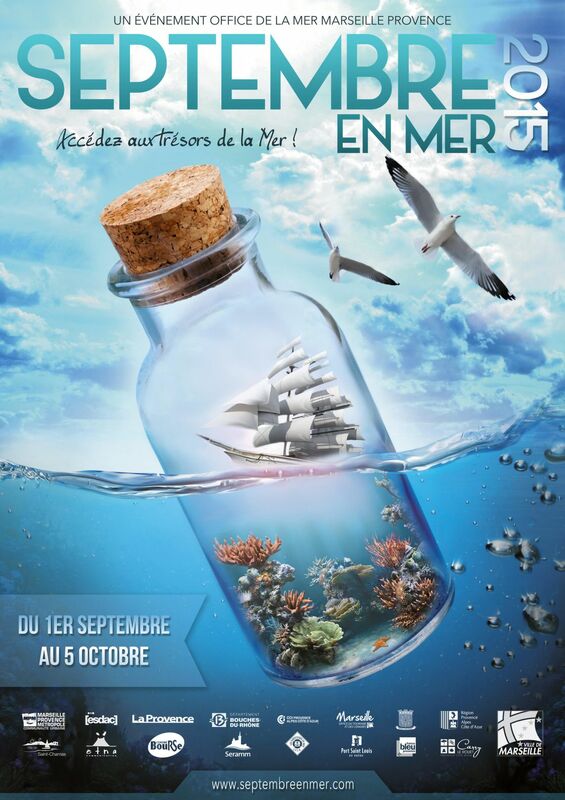 The Septembre en Mer festival continues until 5th October.